The Amy — Twila & Co. In the Amy Design, the focus is colored watercolor splash. 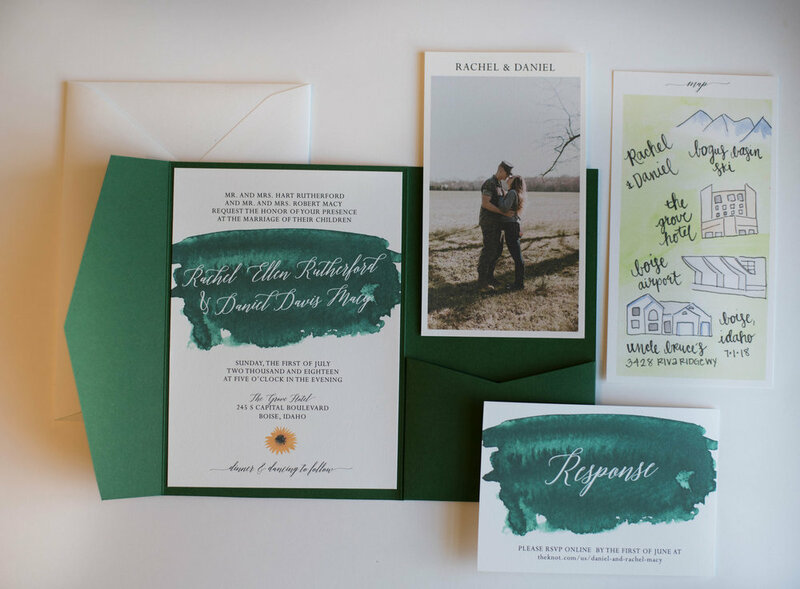 You can choose the watercolor color, envelope colors and any additional pieces. Once the design is purchased, a proof will be provided with all choices. *Photos are just an example of what you could include. 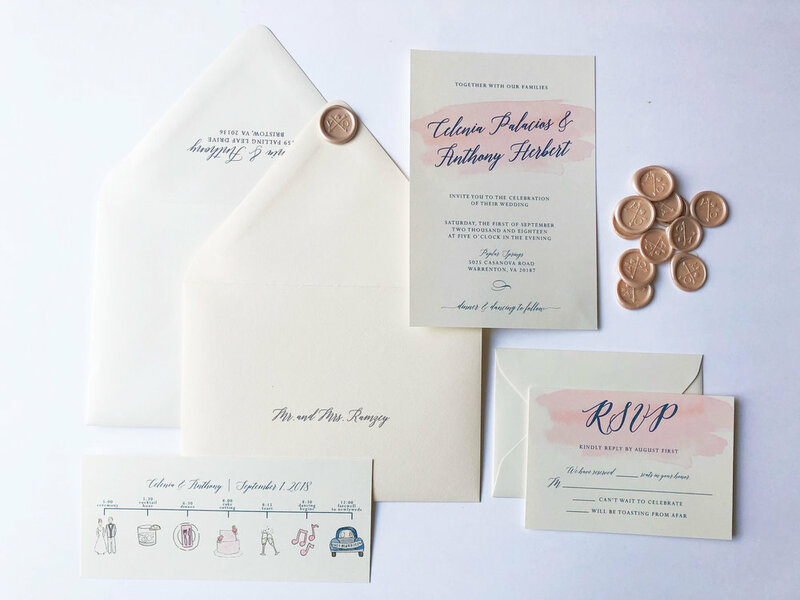 We customize each package to match the bride's needs.